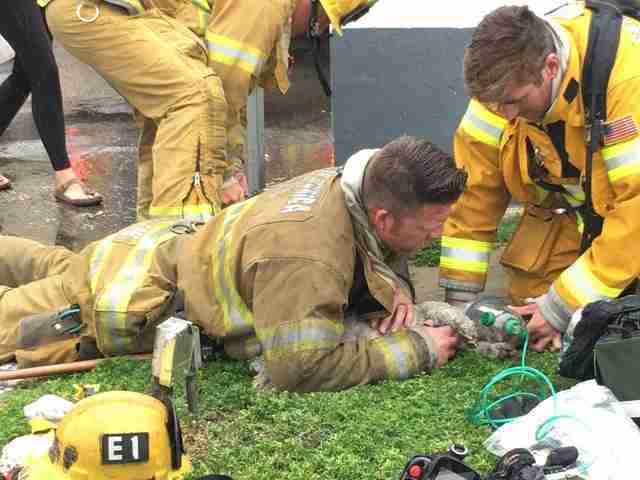 "He began performing CPR on the pet without any hesitation." 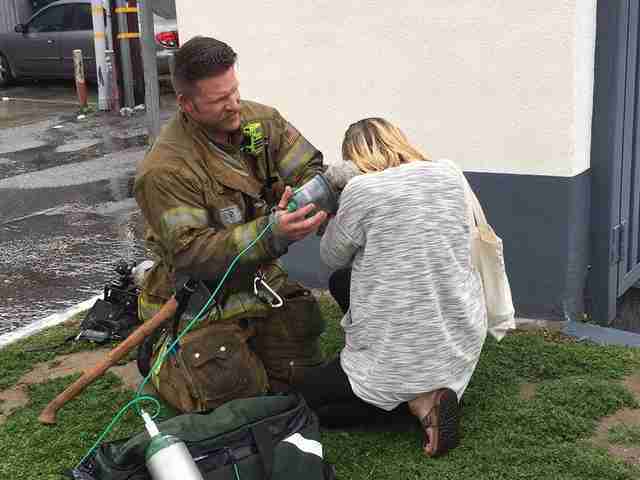 This is Andrew Klein, a first responder with the Santa Monica Fire Department in California. But for one little dog named Marley, he'll be forever known as a hero. Earlier this week, a fire broke out in the apartment building where Marley lives with his mom, trapping the little dog inside. Billy Fernando, a portrait photographer, happened to be driving by when he spotted firefighters rushing into the burning structure, so he decided to pull over to watch them work. That's when he witnessed a life being saved. 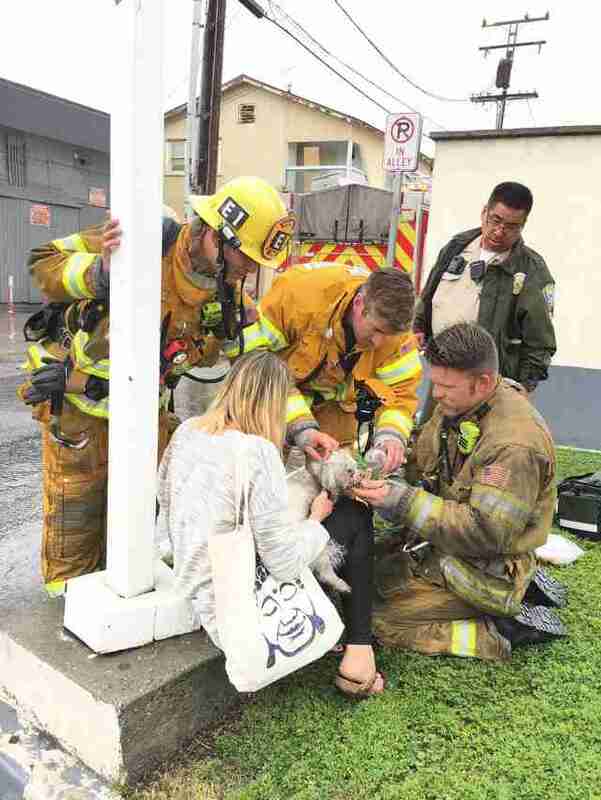 "As I was standing outside, I saw the firefighter, Mr. Klein, running toward the curbside grass area carrying something," Fernando told The Dodo. 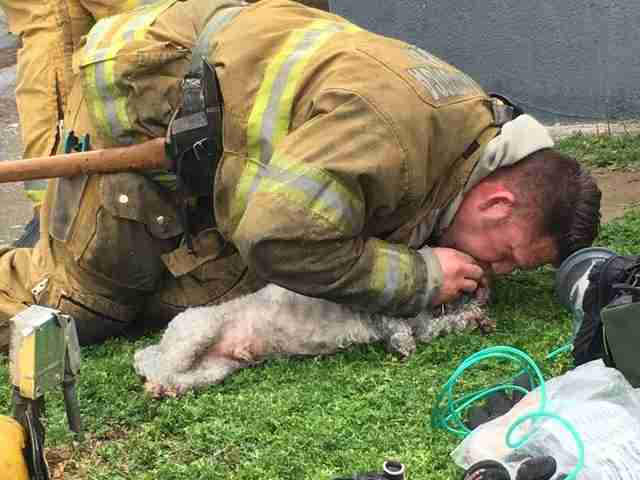 "I didn't know what it was at first, but then I realized that it was a pet who had been trapped in the fire. The dog was unconscious, limp and not moving at all." Klein stayed by the dog's side and began to work. 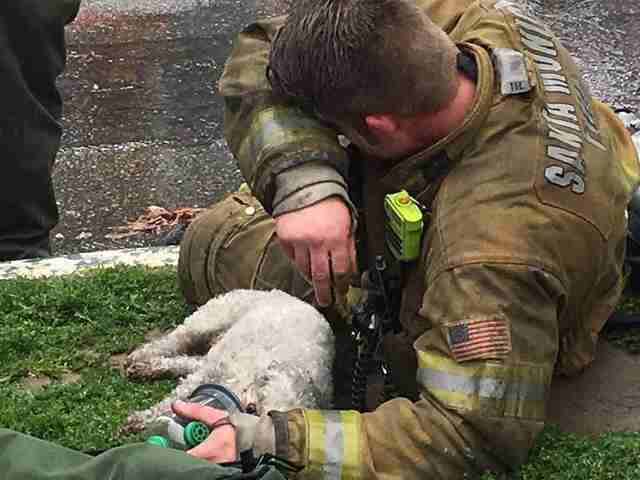 After initially attempting to revive the dog using an oxygen mask, it apparently became clear that more drastic measures were needed. "Just a minute after, he began performing CPR on the pet without any hesitation," Fernando said, adding: "It was an awe-inspiring moment." 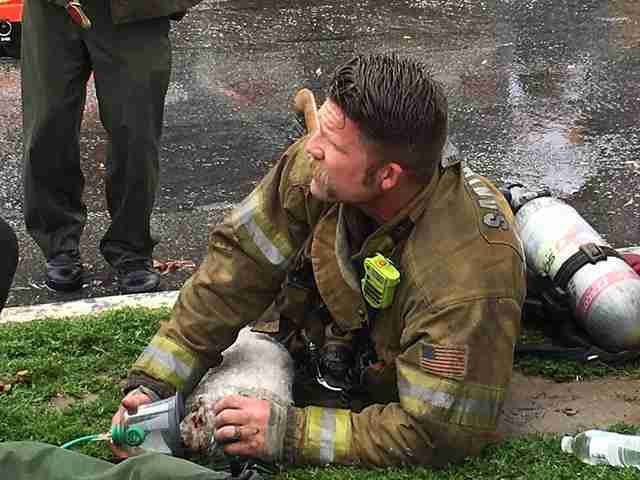 The dog's owner looked on as the firefighter continued to fight for Marley's life. "She was watching it in horror," said Fernando. "She was terrified the dog wouldn't make it." Klein, though visibly exhausted, refused to give up. Amazingly, about 20 minutes into his efforts, the once-lifeless dog slowly began to stir. Marley's owner wasn't the only one breathing a huge sigh of relief. "It's as if the big weight lifted off my chest. I was overwhelmed with joy and tears," Fernando said. "I witnessed the dog come back to life." Marley gradually began to regain his strength, and aside from seeming disoriented, appeared to be out of immediate danger. "The owner was in tears. Everyone was very happy with the ending. 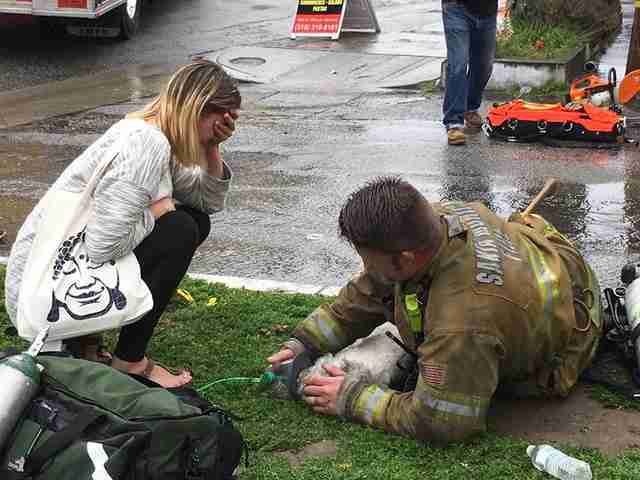 We are very proud of the efforts done by Andrew Klein from Santa Monica Fire Department," Fernando said. "Firefighters have always been a role model for me, and I admire them deeply for what they do for the community. Being able to see this moment was really a privilege!" While it might all be in a day's work for Klein, and other first responders who save lives for a living, his dedication to the little dog won't soon be forgotten. In fact, Marley recently got to thank his hero personally. Special thanks to Billy Fernando for sharing his account and photographs. To see more of Fernando's work, visit his website or follow his Facebook page.